King Memorial Park Cemetery was founded in 1973 in West Baltimore County on 154 acres of beautiful rural memorial grounds. The park is the largest African-American owned and operated cemetery in the United States with the ability to accommodate 300 people for a funeral service. 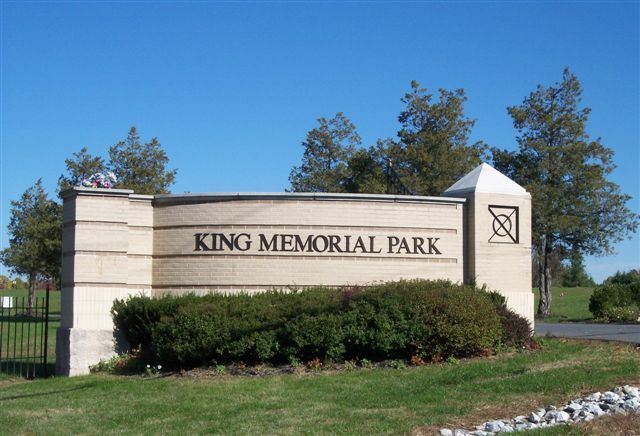 With many options for tradition burials as well as a one of kind mausoleum, Tegeler Monument is happy to be able to serve King Memorial Park Cemetery. When you’re ready, give the Tegeler family a call and let us help you lay your loved one to rest. Contact the Tegeler family at (410) 944-0300 to get an estimate or click here.